Most people have experience mowing their yards to maintain them for aesthetic reasons. Some people mow/bush hog their fields or pastures for the same reason. 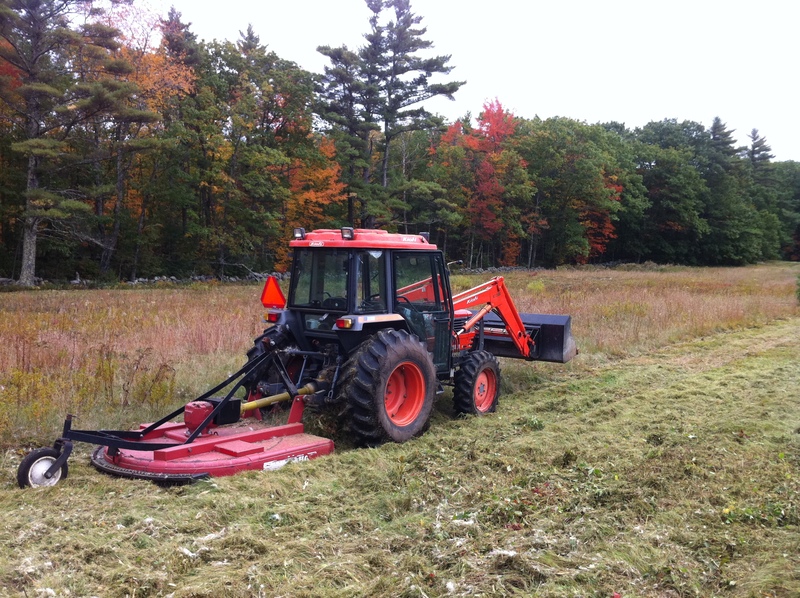 But beyond it wanting to look nice, there are some very defined benefits to trimming back your fields – and a proper time to do it. Let’s get down to basics – what is a bush hog? It’s a type of rotary mower that, generally, attaches to the back of a tractor using a hitch system. Bush hogging a field with the tractor. 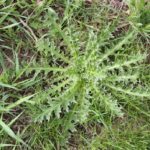 Weed control is a big part of cleaning up pastures. 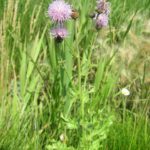 The idea is that you want to prevent weeds from over growing pastures, developing stronger root systems, and producing mature seeds. So brush hogging acts as a mechanical mower to fight these roots from developing. This isn’t always accomplished with a single mowing, but often multiple times a year – over the course of several years. 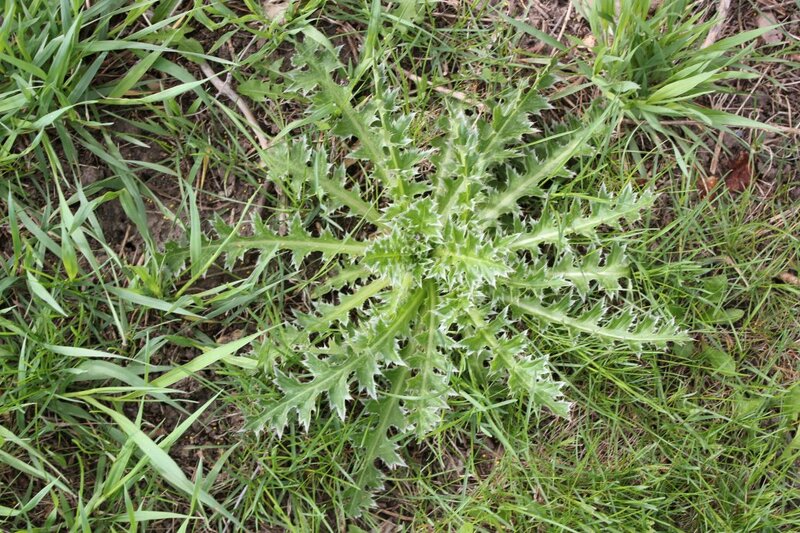 Doing this greatly reduces and can occasionally eliminate certain weeds, such as thistle (pictured below). According to Jesse Bussard, a graduate from the University of Kentucky that studied forage crops and livestock grazing systems – Mowing pastures also helps promote forages to remain in a vegetative state by not allowing the plant to reach a reproductive state. This allows nutrients to be focused on vegetative growth, increasing forage quality, instead of toward seed production. Care should be taken to maintain a proper cutting height when which will ensure there is adequate leaf area and left so that the plant is able to produce energy for vigorous regrowth. Cutting too close can stress plants, depleting energy reserves, and eventually may lead to plant death. Optimal cutting heights for cool season forages is approximately 2-4 inches and for warm season forages is 6-8 inches. Livestock have a tendency to graze in patterns. These patterns lead to formation of uneven patches of forage in pastures. One of Bussard’s college professors at Penn State University refers to this phenomenon in horse pastures the “lawns and the ruffs.” These “lawns” are areas of desirable forage while the “ruffs” are areas of forage that have not been grazed. 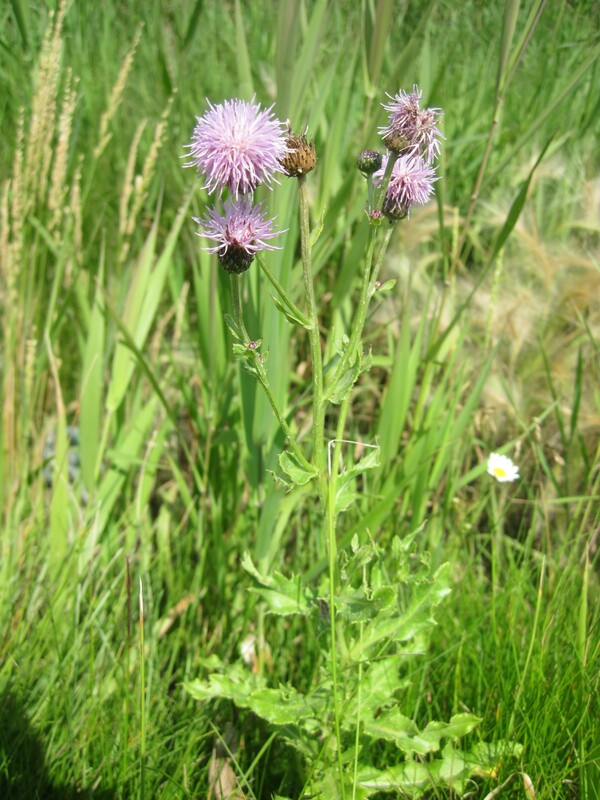 “Ruffs” form for many reasons, sometimes it may be because it is located near a manure or urine spot, or other times it may just be because the forage is unpalatable. By clipping taller plants that animals leave behind the grazing pattern is reduce and a more uniform stand of forage is maintained. Early to late March and, often, again in late September/early October. Of course the argument can be made that we, as Americans, are consumers. As a result there has become a large movement toward recycling and reusing anything we can to save the planet and, frankly, to save a buck. If you’re in the market for redoing an existing walkway that currently has old pavers or bricks – you might find our take on reusing vs. buying new helpful. First and foremost, it’s important to think about the scope of your project and how much you’ll be adding on to an existing patio or walkway already in place and it’s current condition. Some questions to consider: does it puddle when it rains? Is it uneven or extremely worn down? Is the sand coming out from between the pavers or bricks? 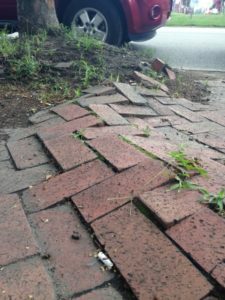 If it’s a small job and you are simply looking to readjust parts of an uneven walkway, by all means, reuse the bricks or pavers you have and replace cracked or overly eroded ones with new ones that are the closest match. 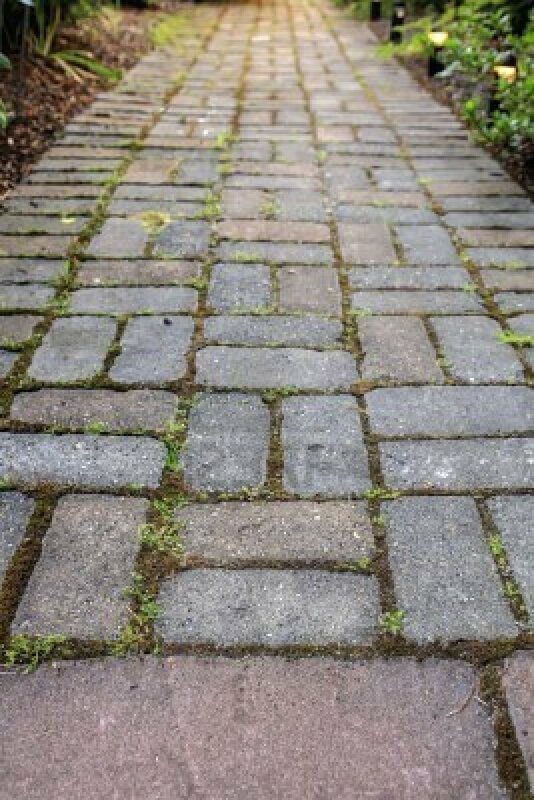 Inevitably you’ll want to match your current pavers with the same ones to do any expansion, but because mother nature isn’t always the nicest to outdoor elements they become harder to match. Not to mention that the ones put in originally may not even be stocked or made anymore. 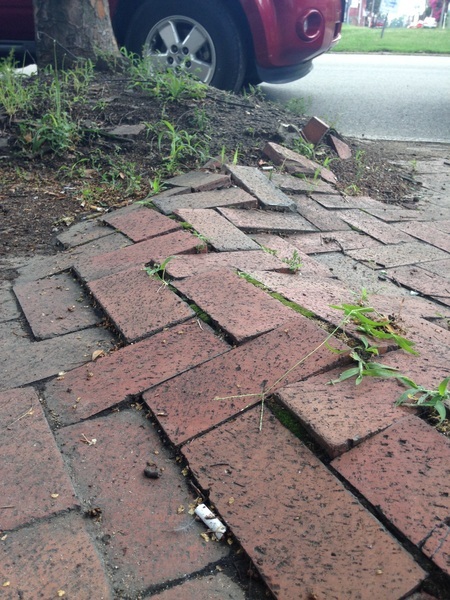 Older pavers or bricks that are used (walked on, shoveled, etc.) more frequently tend to change thickness in varying locations making it hard to maintain a solid foundation for that patio or walkway underneath. If you’re updating decor in your backyard, often times, it means you’re updating lawn furniture and other items, too – which means you’re looking for a fresh look – which will be very hard to get with reusing existing materials. As with many things, pavers and bricks are manufactured differently today than they were event 5-10 years ago. Some would argue that “they don’t make ’em like they used to” but we’ve found that many these days are sturdier and better quality than ones we so often replace. At the end of the day, if you’ve hired a professional to do the job, leave it up to them to decide what might be best for your situation. If you haven’t hired a professional yet but your project fits the “needs more work” category, it might not be a bad idea to have an estimate done and see what they might suggest. It may still only be pushing February, but it’s never too early to start thinking about what your lawn will need when the snow melts away. Make the most of your lawn in the summer by treating it right in the Spring. First of all, let’s talk about Dethatching – what is exactly? 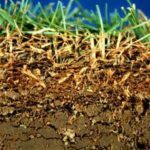 Let’s break it down – thatch is a loose layer of dead and living shoots, stems, and roots that develops between the zone of green vegetation and the soil surface. Thatch build up begins when turf produces organic debris faster than it can be broken down. Why is this bad? Simply put, if the the thatch layer gets thick enough, root development won’t occur be deep enough – it will dry out quickly, hold excess water when it rains instead of absorbing it into the deeper roots and could even result in worse pest/insect issues in your lawn. 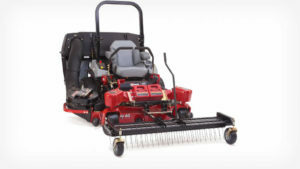 Dethatching usually involves a riding lawnmower with a unit mounted to the front that holds several spring-like tines. These tines dig into the thatch layer of your lawn to help dig in and open up the root systems for better fertilization and rain/water absorption. Dethatcher attachment for riding mower. Power raking is the more aggressive approach to taking thatch out of your lawn. This process involves a machine about the size of a push mower that uses mechanical flails to literally dig the thatch out of your lawn. It can pick up 2 ½ – 4 times more thatch than dethatching. The thatch left behind is then typically picked up with a lawn mower. Now you know the difference – but, which one is right for your lawn? We think Ryan Such from All Terrain said it best in his blog post: Dethatching and power raking are necessary if you feel like you have dead thatch in your lawn that is smothering or keeping your good grass from flourishing. The more you mulch your lawn, the more likely you are to need power raking or dethatching. 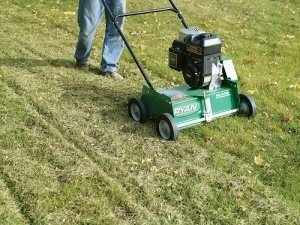 The thicker your lawn is naturally, the more likely you are to need to power rake or dethatch. If you have a thick lawn that you mulch often and have not done any thatch removal recently, you probably could use a power raking. …And dethatching is preventative maintenance. Dethatching is for the lawn that doesn’t really have a thatch issue per se, but has an owner who wants to avoid one!